Dark chocolate is delicious and a liiiiitle bit nutritious. They say it's great to have one piece of dark chocolate a day! Lindt Excellence Dark Chocolate is the way to go. I leave a pack of it in the fridge and whenever I have a sweet craving I just break off a little piece - this is the trick of my grandparents. When it's in the fridge it is easy to break and keeps quite well. 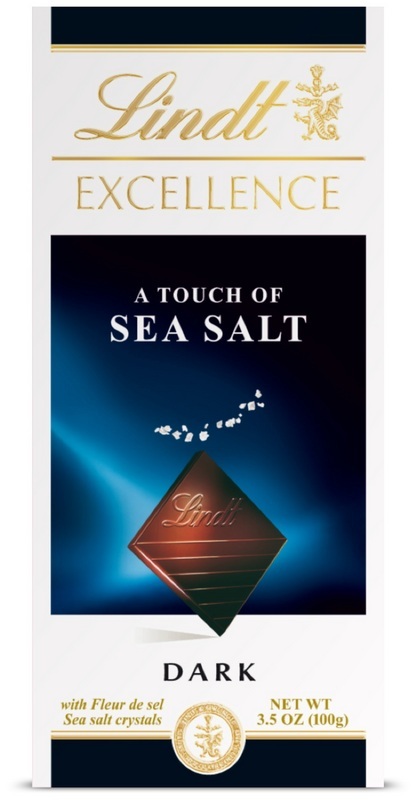 I just tried the new Sea Salt Lindt Dark Chocolate - and you should definitely give this a try, a good balance between sweet and salty! I usually just buy these packs of chocolate at Shoppers Drug Mart!